Our new dining table is an addition to the Paracas chest collection, in a stylish finish achieved using hand treated parchment. 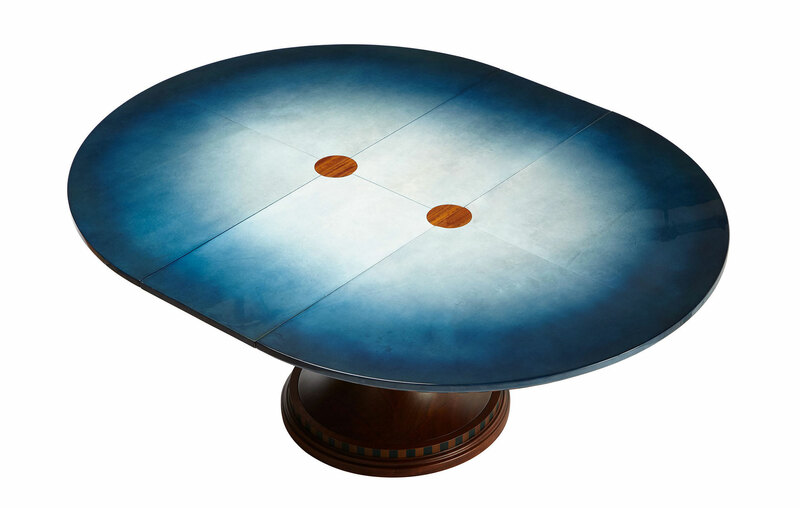 We developed the design incorporating this deep blue colour gradient reminiscent of a lagoon. Our desire was to create a piece that has fluidity and shows the character and depth of the hide to it’s full potential. The curved Iroko hardwood for the base was acquired from the tropics of Africa. This imitates the clean lines of the top. The check ebony band detailing on the apron and the base adds a touch of Art Deco to this elegant piece. 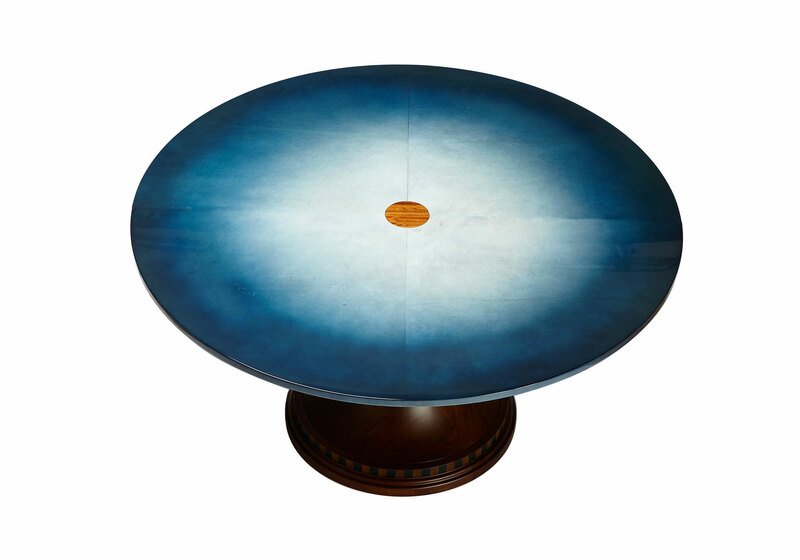 The blue lagoon round table has an extending leaf which folds into the base. 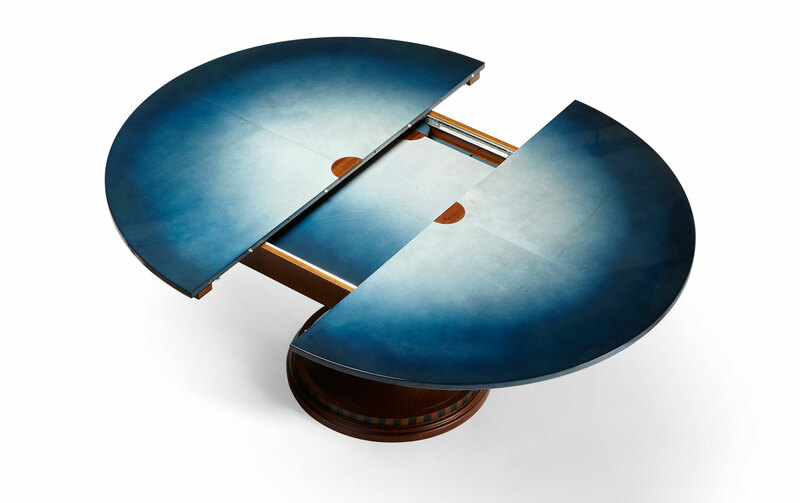 This table can be made in custom sizes and finishes.